Here’s a look at some key lighting trends being found in homes across Canada this season. 1. DIY mason jar lights. Everyone’s favourite accessory gets a cheap and cheerful makeover as fashionable lighting. This hot decorating trend is creative and versatile, crossing from modern to rustic décor. You can find easy online tutorials for mason jar candle holders, hanging lamps with vintage-style bulbs and wall-mounted lights using antique coat hooks. Or, try making a mason jar chandelier, the perfect focal point for farmhouse style décor. 2. String lights. Enchant any space with gorgeous, twinkly string lights. Drape them around your patio or balcony, use them to frame your headboard or mirror, or weave them in and around a decorative element you want to stand out, like a funky vase or coffee table. Use white or black cable to create surprisingly different looks, and experiment with no bulbs, clear globe bulbs, and wicker or wire bulb covers. 3. Sophisticated window treatments. Transform harsh exterior light by diffusing it, spreading it evenly throughout your room so you can maximize daylight hours and reduce your need for artificial light. 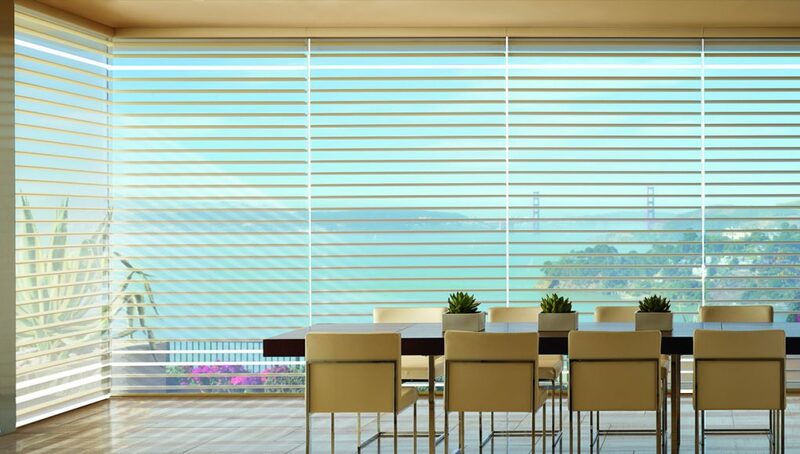 Perfectly illuminate your surroundings with Silhouette window shadings from Hunter Douglas that softly filter out brightness, glare and UV rays. 4. Smart light bulbs. Boost your home’s IQ with intelligent lights that do everything from help you fall asleep faster to sync up with your television and automatically adjust accordingly. Many are app-controlled, helping you direct light when and where you need it. 5. Outdoor attractions. Decorate your backyard, patio or balcony for a summer party or breakfasts in the open air with outdoor lights. Modern lighting ideas can help you highlight your landscaping, illuminate your pool and add task lighting for late-night barbecues. Options like Moroccan lamps, beachy lanterns and romantic fairy lights let create you a unique atmosphere — from mysterious and majestic to bold and contemporary.